Talk about happy colours and we just can't help but think yellow. After all, this vibrant hue works like a charm every single time to lift the mood as well as in making chic style statements. 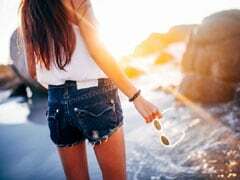 So with spring season not too far away, it's already time to start stocking up your wardrobe with trendy new dresses to stay at the top of your style game. 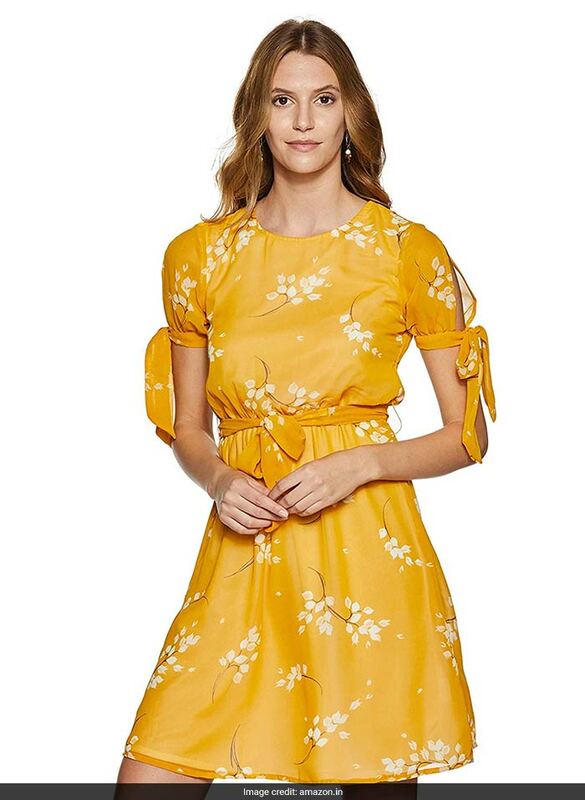 If you love yellow as much as we do, then here are seven gorgeous dresses that are guaranteed to make you the centre of attention. From sleek cuts to quirky prints, take your pick! Make this chic dress from Tommy Hilfiger as a part of your style closet and gear up for spring-summer. It features an A-line cut, stand collar and full sleeves. 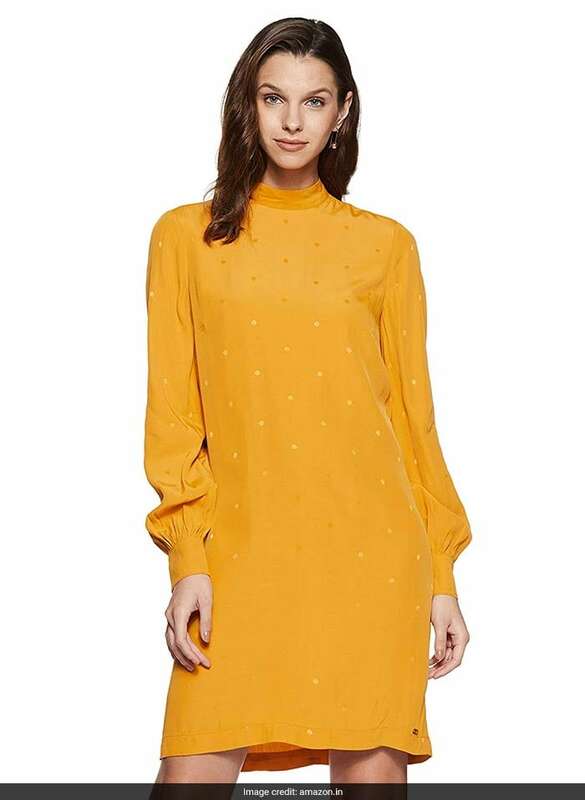 You can buy this dress for a discounted price starting at Rs 2,999. Shop here. Have some fun in this season by opting for funky prints. 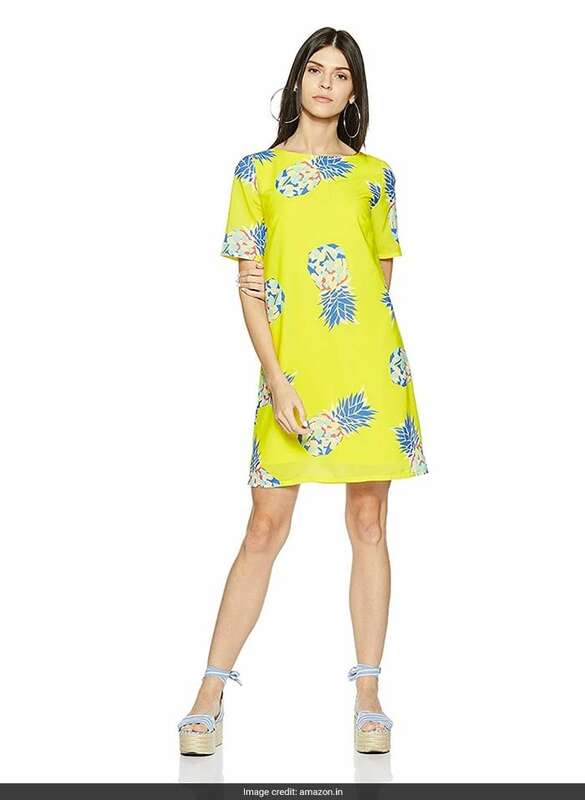 This standout pineapple printed shift dress from UCB is sure to become your favourite. 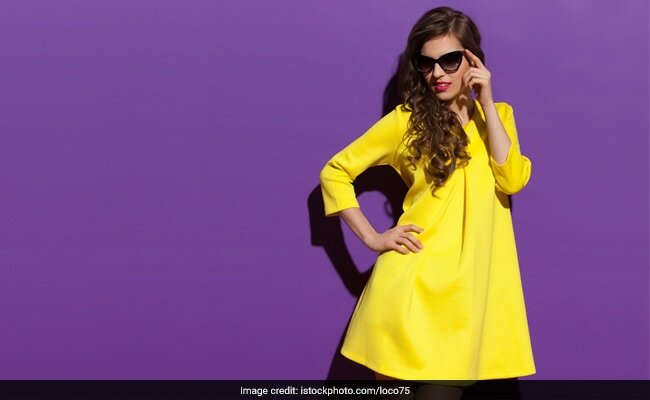 You can buy this dress for a discounted price of Rs 2,519. Shop here. Love florals a bit too much? Then don't miss this pretty dress that will keep you on point in this season. It features an elasticated waistband with a belt and short sleeves with tie-ups. You can buy this dress for a starting price of Rs 499. Shop here. 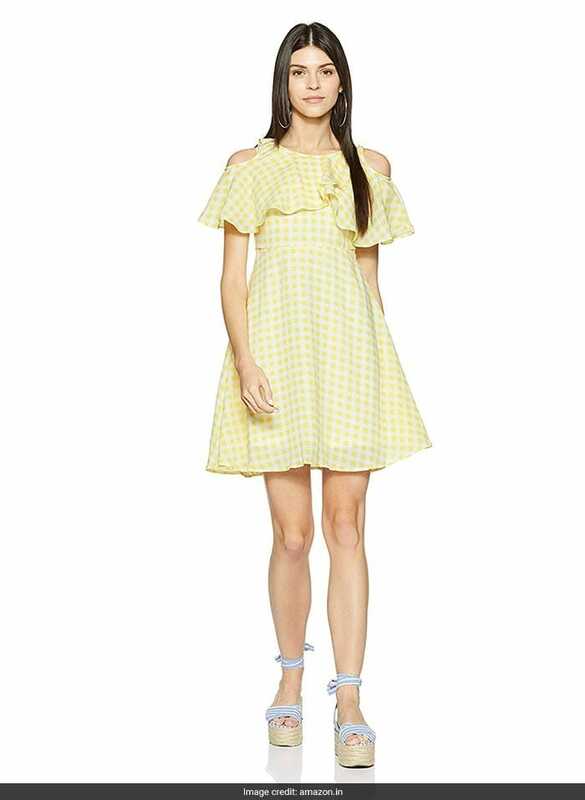 Notch up your casual style game by making this trendy yellow dress from Vero Moda as a part of your style closet. You can buy this dress for a discounted price starting at Rs 1,159. Shop here. 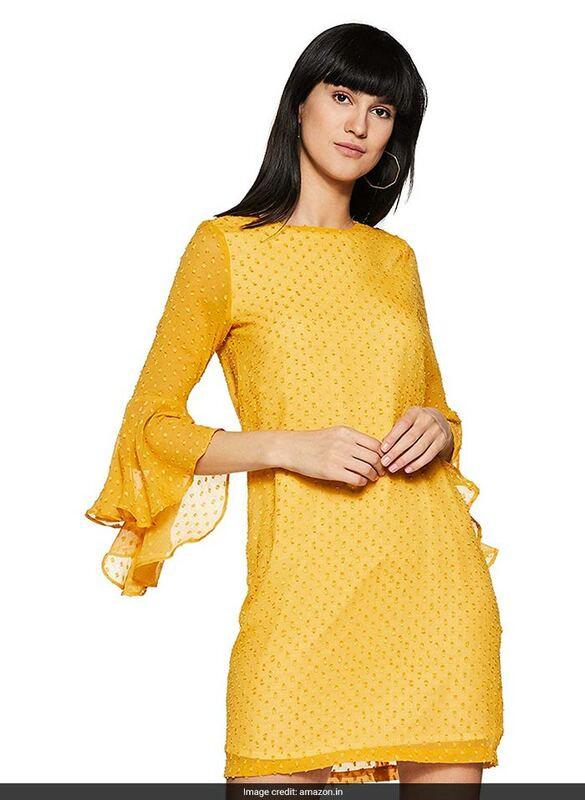 Dress up in this pretty yellow dress from Van Heusen and make a chic style statement. It features a sleek fit, sheer sleeves with ruffle detail and a round neck. You can buy this dress for a discounted price of Rs 1,818. Shop here. Get casual looks on point in this effortlessly chic dress from Stalk Buy Love. It features a short collar, buttoned down front and rolled up sleeves. You can buy this dress for a discounted price of Rs 849. Shop here. Looking for a dress for Sunday brunch? Don't miss out on this pretty number by Honey. It features cold shoulders, ruffle detail at the shoulders and a flared cut. You can buy this dress for a discounted price of Rs 597. Shop here. 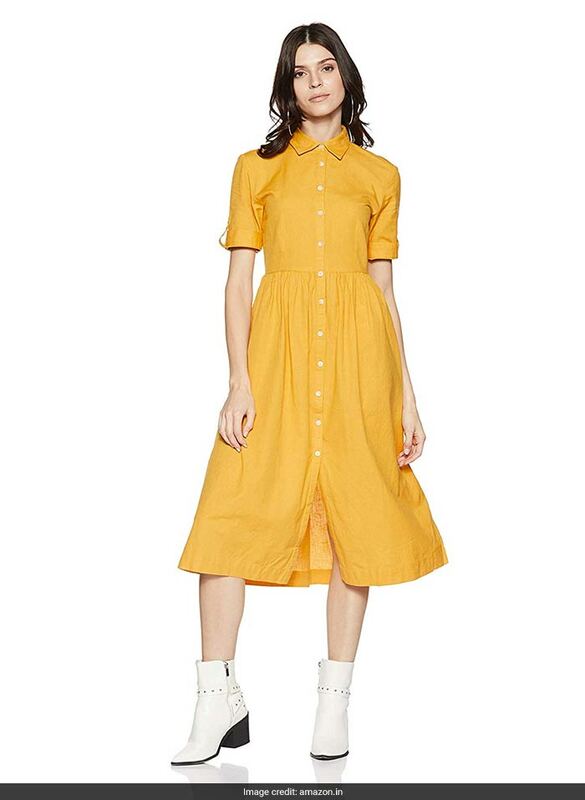 Nail the colourpop trend with these standout yellow dresses.